This instructable demonstrates something I had to learn by trial and error for my son who has Type 1 diabetes and uses a Deltec Cosmo pump. Note: This instructable requires prior knowledge of needed amount of insulin in the cartridge. Caution: The top of the insulin vial must be cleaned with an alcohol swab before beginning. Care must also be taken while handling the needle. Attach the needle to the cartridge by twisting into place clockwise and remove lid Do not throw lid away. Pull air into the cartridge to the desired setting, creating as precise a measurement as possible. The air will compensate for the insulin to be removed from the vial and prevent the creation of a vacuum. A vacuum may cause the vial to break, causing injury. Place the pump cap over the white cap. Do not attempt to twist on. Fill tubing should already be highlighted. (If the pump has returned to the alert screen, press the right button.) Hold the infusion set to the light until you see the small needle inside. 2. 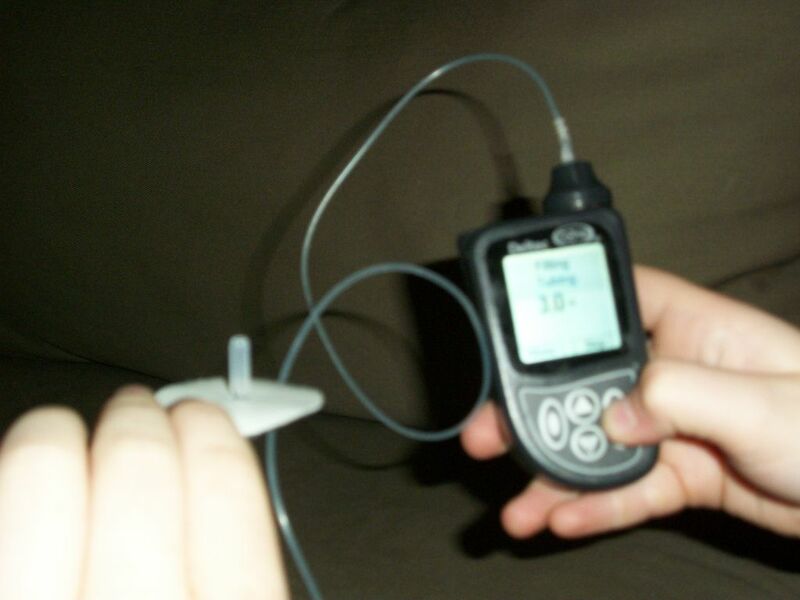 Watch the needle inside the infusion set as the pump pushes insulin through the infusion set and tubing. nicely documented! how often does it need to be refilled? I refill it every two days, but some do it every three. Thanks for the comment!